Our aim within the Home is to care for residents in the same way and in the same environment that we would want for our own parents. 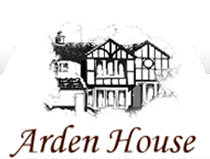 It is so important that Arden House becomes a real home, with all the feelings and emotions that we associate with the word, for the residents, their families and their supporters. We aim to promote a way of life for our residents that permits them to enjoy, to the greatest extent possible, their rights as individual human beings. Our residents are allowed privacy, dignity, independence, security, choice and fulfilment within a quality care environment. To find out more about our care please read through our care philosophy, aims and objectives and our commitments section.